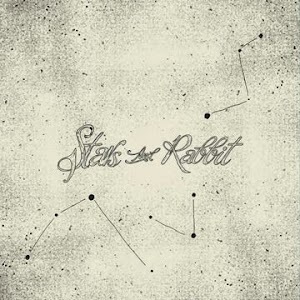 Stars and Rabbit are Indonesian duo Elda Suryani and Adi Widodo. They call it folk pop, but they’ve spent their several years together molding something far more interesting than that label suggests. It isn’t enough to call it indie, and quirky sounds overly dismissive. Creative and charming seem safe. Constellation is a full-length showcase for that creativity, expressed through an engaging blend of genres and bucolic soundscapes, and charm, which runs deep into the instrumentation but is undeniably led by Elda’s vocal. She’s a Bjork-like ingénue delivering light, cruisy pop of Bic Runga’s ilk. “Like it here”, “Cry little heart” and “You were the Universe” are on the more conventional side, voice leading guitar supported by strings and light synths. But the compositions are mature and there remains plenty of interest in the lyrics, which are charismatically exposed, and the musicianship, which is consistently creative but subtle and understated – never clashing, always enhancing. Even “Worth it”, which is basic nod-along pop with some nice progressions, could easily have become a twee ode to “baby eyes” but nicely cascading vocals and sophisticated performances steer it safely clear. Other tracks have the power to transport the listener, like the unexpectedly reggae-styled “Catch me” where piano and bass reign, and where the plaintive refrain “will you catch me, will you let me? won’t you, I want you to” crosses over into adorable territory. “Rabbit Run” also has an oceanic flavour, this time Hawaiian, despite its pastoral title. And “Summer Fall”, the most epic track on the record, brings together warm strings, an interesting bass line, sensational synths and an uplifting chorus to successfully convey the changing of the seasons. But there’s more. “The House” begins as straight-up folk, with plucked guitar and a 2/4 stomp, before some haunting wailing that could almost have involved Nick Cave – and, the icing on the cake, some excellently Moog-like surprise synths. “Man Upon the Hill” also adds grunt in one of the record’s few moments of ire, while “I’ll Go Along” explores a rhythmically unconventional approach to this genre’s favourite 6/8 time signature. Constellation is a thoroughly professional production, recorded and mixed over a period of time at studios around Jakarta before being mastered in London. Stars and Rabbit have displayed their confidence and apparently demanded trust, and they’ve received precisely the amount and type of support needed to turn out something special. It’s a pleasant surprise to hear something truly world class out of Indonesia. This is a career I’ll watch with interest.